Kormak is a Guardian of the Order of the Dawn, a religious organization sworn to protect humanity from the Old Ones by hunting and killing evil wizards, creatures, and demons. Equipped with a dwarf-forged sword and wearing amulets that ward off dark spells, he sets off from the fortress-monastery of Mount Aethelas to fulfill his life-long oath of killing all that live in the Shadow. It starts with Kormak pursuing a thief who stole an ancient amphora that bounds a Ghul, one of the demons sometimes known as the Stealers of Flesh. He follows the thief into the snowy wilderness and gets lost in a raging blizzard. Just as he’s about to freeze to death, he encounters a mansion where the thief resides with his employer, Lord Tomas. There Kormak learns that Lord Thomas hired the thief to retrieve the amphora and intends on freeing the Ghul so he could learn the secrets of immortality. Lord Tomas knows that the Ghul can only be killed using specially forged runic weapons, like Kormak’s blade, and so restrains Kormak with intentions of releasing him on the demon if things go wrong. Naturally, on freeing the Ghul, things go horribly wrong and it escapes. To continue living, the Ghul must possess a new body every few days, leaving the old body behind as a rotting pile of bone and flesh. This doesn’t fit right with Kormak, so he pursues the demon through towns, forests, and deserts hell-bent on killing it (the poor guy). The story is more like a collection of four short stories with one main objective: kill the Ghul. It’s fast-paced and there’s always action around the corner, just the way I like it. It’s light on magic and heavy on hand-to-hand combat. There’s not much magic at all except for some creatures created from dark spells, and an “alakazam” thrown in every once in a while. William’s writing style is great, although sometimes it does feel like it could have used an editor. Kormak himself is a badass. He’s a hunter with no interest in whether there’s a bounty on your head or not. Creature or human, you do something wicked, you’re going to die. No questions asked. He’s blunt and gets to the point, fast. 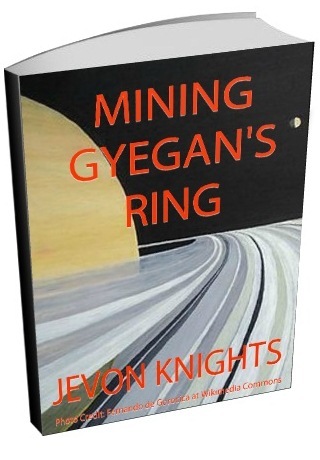 Each short story leaves the old characters behind and introduces new characters to help Kormak with his quest. The characters are good enough to move the story along but I did find them a bit flat. You won’t be sad if anyone dies, which happens in every story. The conversations flow, but the long ones tend to slap back and forth like a tennis ball with no concept of character emotions. Sometimes the characters get predictable. Once William starts describing a beautiful woman, I started guessing correctly that she was going to sleep with Kormak. They all can’t resist the handsomely scarred physique of the veteran warrior. I don’t mind a James Bond-ish protagonist, but predictability is never good in a story. Overall, this is a great read. 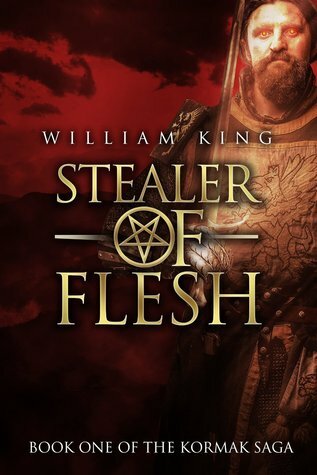 It’s not William’s best, but I would still recommend picking it up. And it’s free so if you love fantasy and you have a kindle then go ahead and download it and get started on the Kormak series.